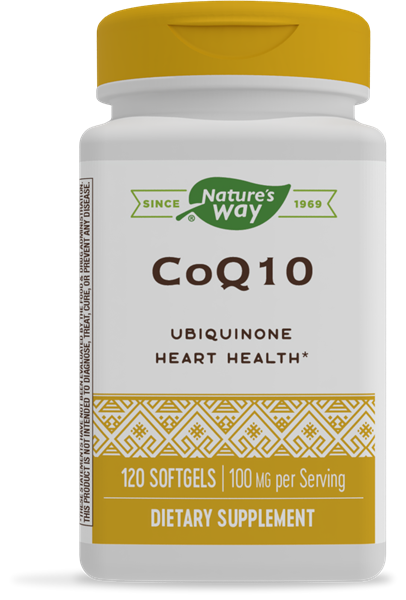 CoQ10 100 mg / 120 softgels - Nature's Way®. Also, because the body’s CoQ10 level can decline with age, replenishing it is important. Take 1 softgel daily. For additional support, take up to 3 softgels daily. If pregnant, nursing or taking any medications, consult a healthcare professional before use.